Are you wondering how much to bring? Find out here with Fiji information on budget through to top-end estimates. It won't cost the bank if you don't want it to. The country of Fiji (sometimes known as the 'Fiji Islands'), renown for it's stunning unspoilt nature, is indeed paradise and more than worthy of that once-in-a-lifetime trip. But how much is it going to set me back? If you haven't already, start at our hub Fiji Tourism Information page. This is the starting point for all Fiji information for your exotic stay. 2. passing through from/to North America and Australia/New Zealand. Your Fiji budget is largely dependent on what sort of holiday you are doing. Group 1 - the most popular group. Most of the costs are incurred when you book with accommodation and flights which is upfront. Most resorts have complimentary activities which includes pool(s). 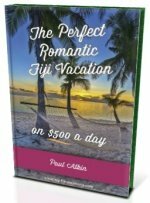 If you are on a Fiji all inclusive deal, the only likely costs are when you leave the resort, paid activities, alcohol, and possibly getting to and from the resort. Otherwise costs will further include food and drinks. Group 2 - depending on your length of stay, there are an abundant of accommodation from budget to top-end close to Nadi airport. Information is found on our Nadi Fiji section. For the budget minded traveller, backpacker resorts are a good place to start. 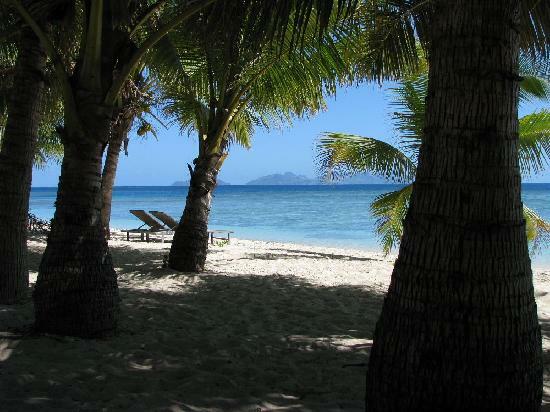 Check out our Fiji Budget Holidays section for more information. Budget estimate - sleeping <FJ$140, eating <FJ$10. When thinking about Fiji, bear in mind the bulk of the accommodation falls in the mid-range bracket. Visitors are sometimes surprised that Fiji isn't as easy on the wallet compared to Southeast Asia or Mexico. As for the top-end is concerned, Fiji's luxury resorts rivals that of anywhere in the world. So if you're looking for Fiji luxury vacations including a luxury honeymoon romantic getaway, then look no further. Almost anything is possible including having your own private Fiji island! Top-end budget estimate - sleeping >FJ$260, eating >FJ$25. *Note - these are estimates, people's eating habits can vary substantially.